Manufactures dimensional eyewear and LED products, including Kaleidoscope Glasses and Fiber Optic Light Whips. The company designs, manufactures, and services its clients from Tallahassee, Florida, USA. GloFX is a Global Leader in Dimensional Eyewear and also offers a wide range of LED Products and Rave Gear. GloFX continues to pioneer and innovate new products that lead its industry. GloFX products get their appeal from their ability to enhance one’s experience and leave a lasting impression. Built on the importance of innovation, GloFX strives to push the boundaries of perception with its revolutionary eyewear and LED Products. The emphasis on quality makes GloFX a popular brand amongst eclectic light and music enthusiasts. GloFX changes the way people see the world and the way they interact with it. 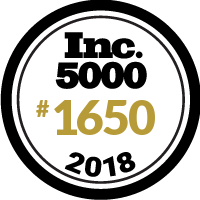 It's an honor for GloFX to be recognized on the Inc. 5000 list of the fastest-growing private companies in America!